New Years Day marks the commissioning, in 1950, of the first female medical officer in the United States Navy. On this date, Mary T Sproul was appointed a Lieutenant, junior grade. And this is all I know about Dr Sproul. The internet provides us no further information about this Navy pioneer, though ten years later, a Commander in the Medical Service Corps with the identical name, is listed as author of a paper the use of frozen red blood cells, published in the Archives of Surgery (Arch Surg. 1960;81(1):151-154). Could this be the very same Mary T Sproul? I hope to answer this mystery in the near future. 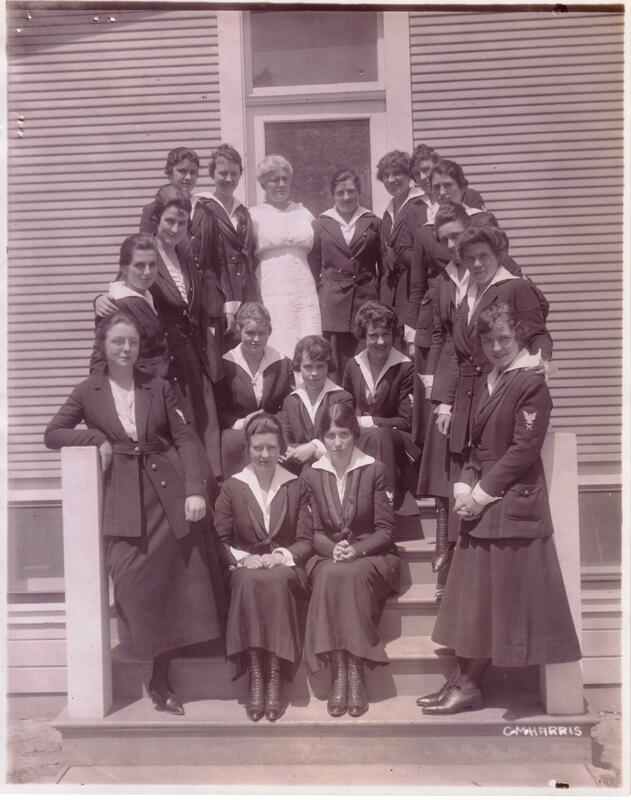 While four members of the Sisters of Mercy served as nurses aboard the Navy hospital ship Red Rover in the Civil War, it was not until the Spanish America War in 1898 that four women (three were medical students at Johns Hopkins, one a pre-medical student at MIT) were “regularly commissioned as nurses and so rated in the records of the Navy Department”. These women left this voluntary service at the end of hostilities, and all went on to practice medicine as civilians. There the matter lay until Congress approved the establishment of the Navy Nurse Corps, in 1908.
on active service at the end of that war, five had “enlisted in the Bureau of Medicine and Surgery, served with hospital units in France”. The record does not state if these women worked with patients, or provided valuable clerking skills. Women enlisted serving in direct patient care roles appears to date from 1943, when WAVES (Women Accepted for Voluntary Emergency Service) with prior medical experience were introduced into the service. The appointment of women to the Navy Hospital Corps had to await permissive legislation, in the form of Public Law 625. Hospital Corpsman First Class Ruth Flora receives that distinction. It wasn’t until 1952 that women were commissioned in the Medical Service Corps, five years after Congress approved the establishment of the fifth “Corps” of the Navy Medical Department (the others are Medical, Dental, Nurse–all officers, and Hospital–enlisted personnel). If you are still looking for information on Commander Mary T Sproul, you might try the Kappa Kappa Gamma Fraternity in Columbus, Ohio which should have a write up of her groundbreaking work culminating in blood transfusions in Korea and blood banks around the world. KKG gave her a Lifetime Achievement Award. She also was on This is Your Life, possibly the TV version but maybe just radio.